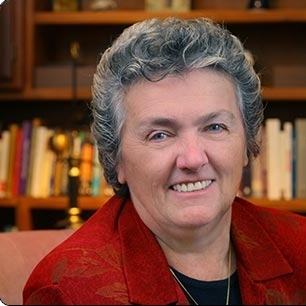 A member of the Benedictine Sisters of Erie, Pennsylvania where she served as prioress for 12 years, Sister Joan is an author and lecturer. She also writes a web column for the National Catholic Reporter, "From Where I Stand." Chittister holds a master's degree from the University of Notre Dame and a Ph.D. in speech communication theory from Penn State University. She writes and speaks on women in the church and society, human rights, and peace and justice in the areas of war and poverty and religious life and spirituality. She is co-chair of the Global Peace Initiative of Women, a UN-sponsored organization creating a worldwide network of women peacemakers. She is the founder of "Benetivision." Her public presentations are announced on the Benetvision website.